Champion Standing Bandages in two lenghts for horses and ponies. Champion super standing bandages are 6” wide made with durable, washable stretch polyester with a 2” Velcro closure. The knitting on the horse wraps is exceptional and very tights. The material is very soft but stretchy and breathable. 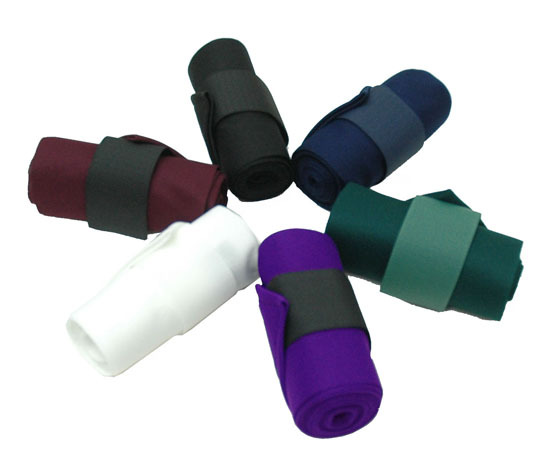 Standing wraps can be used with sheet cotton or pillow wraps. Double knit fiber is stretchable in both directions to ensure maximum comfort. 10 oz. double knit stretch fabric. Machine washable - dryer safe.